As part of School District 163 in Chicago, both the President and First Lady Michelle Obama have schools bearing their names. The Barack Obama School of Leadership and STEM is an educational facility that focuses on creating problem solvers, innovators, inventors, logical thinkers and self-reliant learners according to the mission statement. 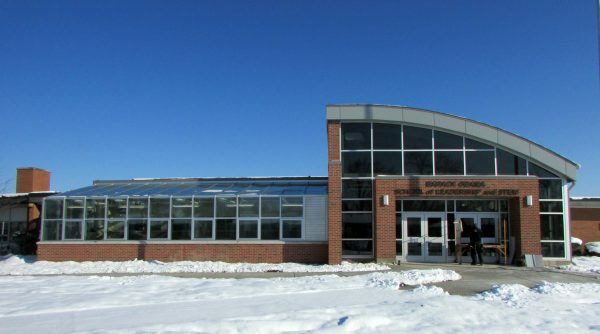 The new architectural grade greenhouse by Crystal Structures fits right in with the STEM (Science, Technology, Engineering & Math) curriculum. With the new greenhouse students will learn about plant development, naturally, but a greenhouse is also effective for teaching about the earth’s atmosphere, heat and light waves and so much more. 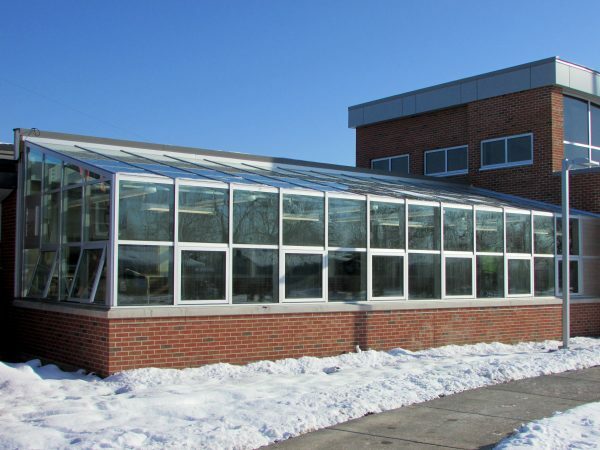 Plus, a greenhouse is a great way to add much needed sunlight to a student’s routine – which has been proven to improve focus, concentration and even student behavior. The greenhouse itself is a lean-to style and measures 14′ x 43′. It features built in accessory tracks, an exclusive feature of Crystal Structures products, which allows plants and lights to be hung without additional hardware being installed. And, the greenhouse is structurally sound, it meets the same building codes as the school itself. Meaning the students will be safe within the greenhouse because the glass must have the same level of safety as classroom windows and door glass. The greenhouse is under CSI code 13 43 13.